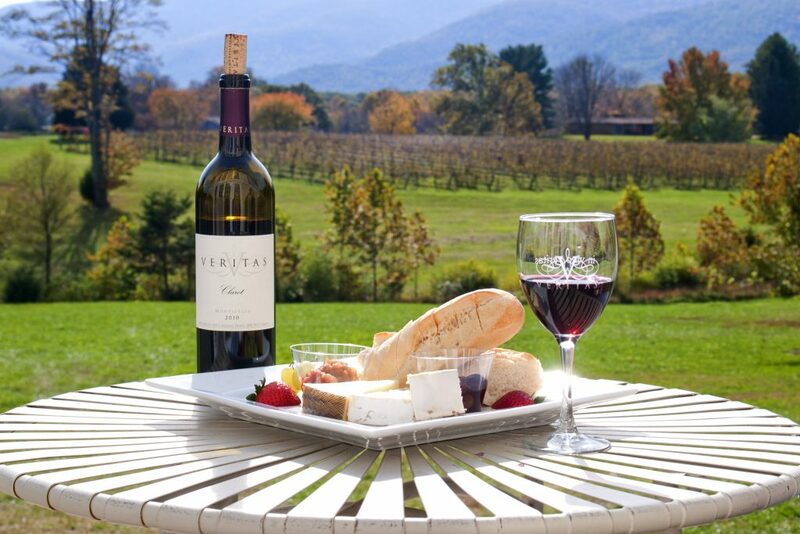 With nearly 300 wineries throughout the state, it’s easy to find an amazing winery experience anywhere in Virginia. Here are five great experiences to get you started! Hop aboard Southeast Expeditions’ “Paddle Your Glass Off” kayak tour on the Eastern Shore. Starting on the banks of Nassawadox Creek, a kayak guide will lead the way on a 45-minute paddle to Chatham Vineyards. 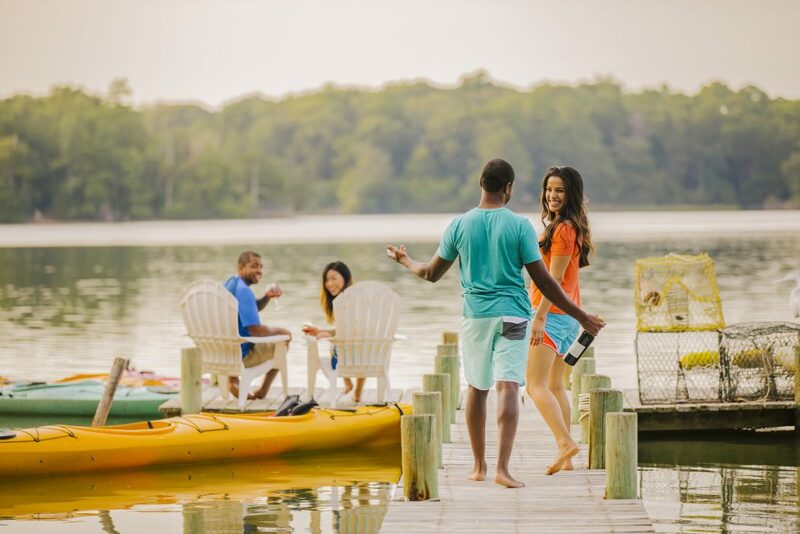 Pulling up on the shores of the vineyard, visitors walk right up to the winery and enjoy a tasting of Chatham’s delicious Church Creek wine. Bring your own bike or rent one to cruise to Upper Shirley Vineyards via the Virginia Capital Trail, a paved bicycle and pedestrian trail connecting Richmond to Williamsburg. Designed for all fitness levels, biking-enthusiasts can start in Richmond and make the 20-mile trek to Upper Shirley Vineyards, while the occasional biker can hop aboard the Cap Trail Bike Shuttle, which allows visitors to choose how far and what part of the trail they want to ride. 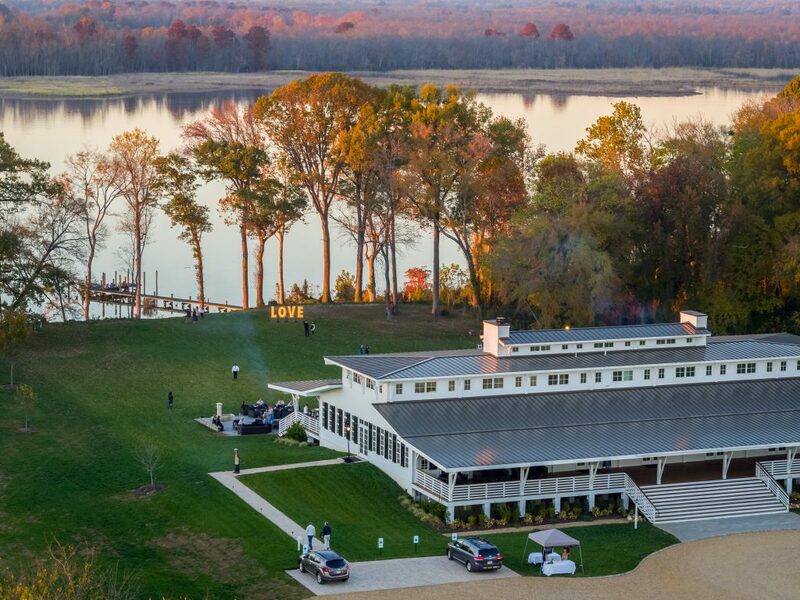 Once at Upper Shirley Vineyards, sip the delicious wine and enjoy a locally-sourced meal from their on-site restaurant – all while admiring a stunning view of the James River. Mark your calendar for the next Starry Nights event at Veritas Vineyard & Winery. On the second Saturday of each month during the summer (June-September), Veritas hosts an outdoor concert on their back lawn. Pack a picnic, bring a lawn chair and enjoy an evening of good wine and great music under the stars. Travel along the Blue Ridge Parkway, a relaxing scenic drive with stunning views of the Blue Ridge Mountains. Make a pit-stop at Chateau Morrisette Winery for wine-tasting with a view. Known as “the winery dogs built,” Chateau Morrisette is incredibly dog-friendly, welcoming leashed dogs on their grounds and in their tasting room. 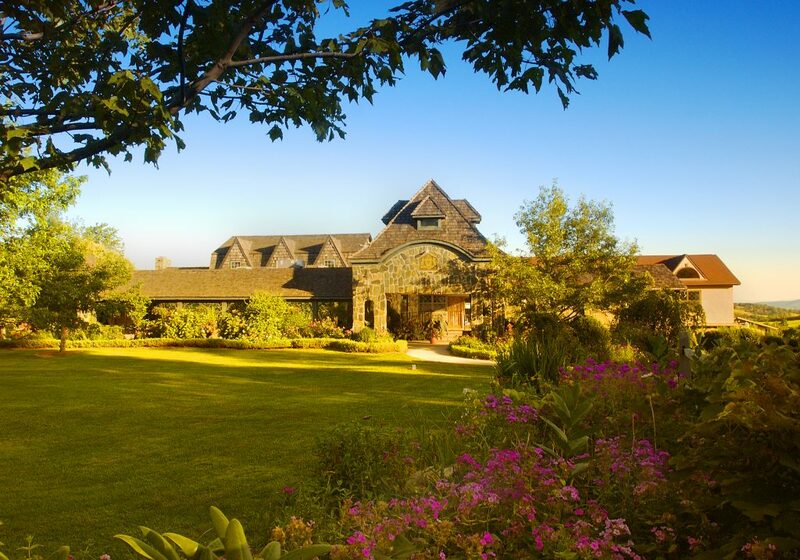 Sip your way through horse and wine country on your own luxury getaway. Just 25 miles from Washington, D.C., more than 40 wineries dot the rolling hills and scenic landscapes of Loudoun County. Plan a wine tour during the day, then check in to the luxurious Salamander Resort & Spa for spa treatments and fine dining.